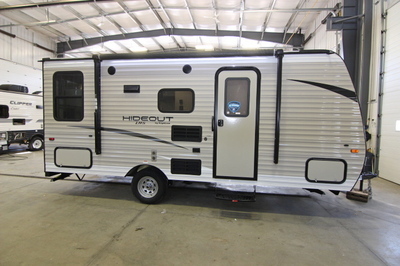 Packages and Upgrades Included with this Unit:- KRV Tested, Family Approved Package, Built To Last Package, 14" Spare Tire Kit, 4 Stabilizer Jacks, Window A/C. 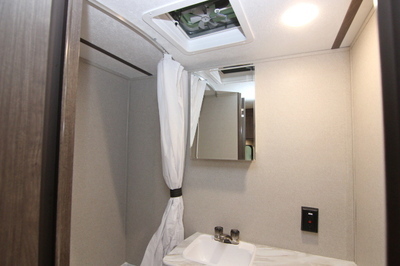 KRV Tested, Family Approved Package:- Power Awning, Tinted SafetyGlass Windows, 12” on Center Floor Joist, Smooth Exterior Entrance and Baggage Doors, 6’6” Interior Height and 8’ Wide Exterior Length. 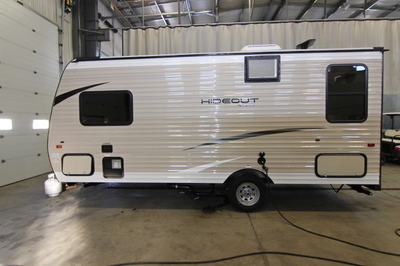 Exterior Standard Features:- Diamond Plate, Manual Patio Awning, Outside 110 Receptacle, E-Coated Wheels, Powder Coated I-Beam Frame, Easy Lube Axles, Full Length Outriggers, Exterior Speakers, Black Radius Window Frames, TV Antenna with Booster, Cable Hook Up, Radius Entry Doors w/Integrated Struts, Oversized Pass Thru Storage, Hose Storage in the Bumper, .024 Gauge Aluminum Siding, Rain Gutters with Down Spouts, Roto-Cast Seamless Holding Tanks, Hurricane Straps Reinforced Structure, Four Heavy Duty Stabilizer Jacks, Radial Tires, Cambered chassis, 96" Exterior width. 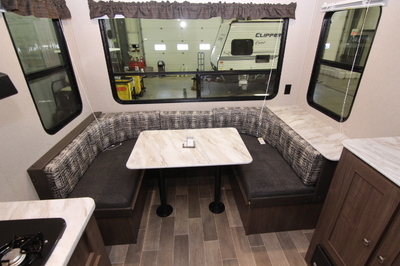 Interior Standard Features:- Interior Surround Sound Speakers, Bluetooth AM/FM CD w/MP3, Microwave, Monitor Panel, Ball Bearing Drawer Guides, 3 Cu. 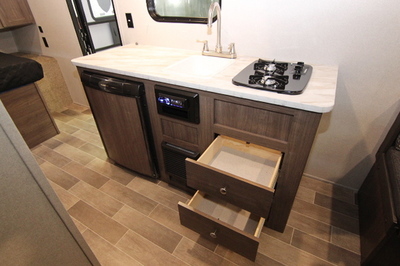 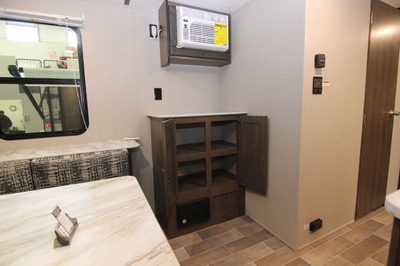 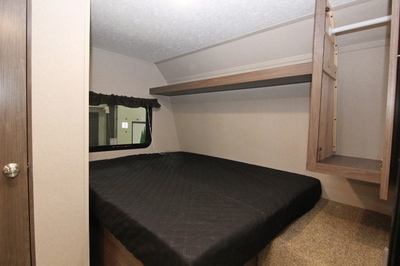 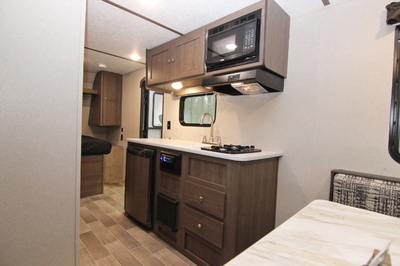 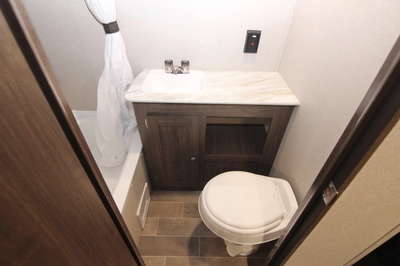 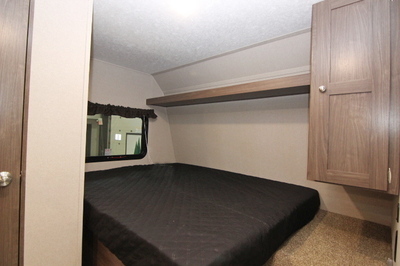 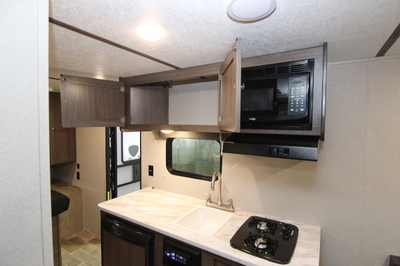 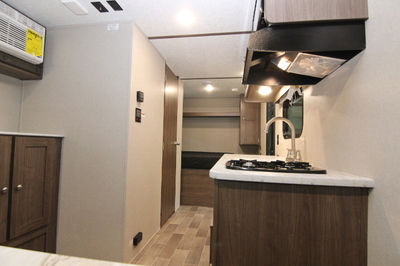 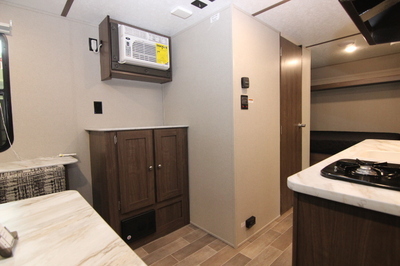 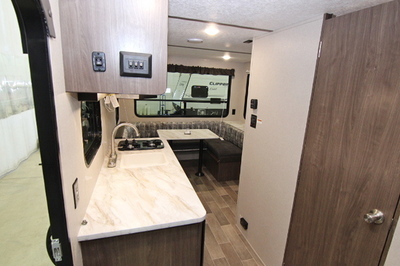 Ft. Gas/Electric Refrigerator, 8 K BTU Air Conditioner, 20K BTU Furnace, Flex Pex Tubing with 10 Year Warranty, Foot Flush Toilet, RG6 Cable and Satellite Wiring, 4 1/2" Crowned Roof, Color Coded Loomed Wiring, Range with Hi-Output Burner, Reversible Dinette Cushions, High Rise Kitchen Faucet.